1. What Are List Posts? See how many claps this article got? The shares these posts get are only half the story. If done right, a list post can get you hundreds of backlinks too. With list posts, you not only get lots of shares but also lots of backlinks. Most list posts don’t get any backlinks. The reason why most list posts don’t get any backlinks is that they aren’t created the right way. 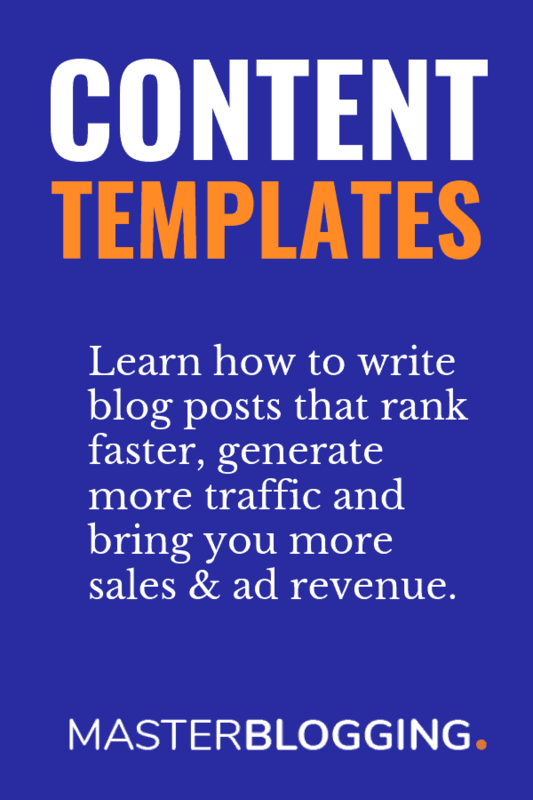 In this article, I will show you how writing list posts for your blog can become the easiest way to create Skyscraper Content that gets lots and lots of backlinks and shares. We will not write a generic list post with 5-6 items. The goal is to create a list post that is THE BEST list post on the subject. Simply creating more content and hoping it gets shares and backlinks is not a great strategy. Because it doesn’t work! If you want to virtually guarantee that your list post gets shares and backlinks, you need to replicate the success of a similar post in your industry. If a post called “5 Affiliate Marketing Tips” got lots of shares and links in your industry, you need to write a post that has at least double the number of tips. But before you can do that, you need to find a list post that has already done well, so that you can replicate it. BuzzSumo is the easiest way to find the best of the best content in your niche/industry. To find list posts that have worked in the past with BuzzSumo, simply enter the name of your niche and click the search button on the BuzzSumo website. As you can see, the second post got 200 thousand Facebook shares. Just visit your competitors and check their sidebar. You will see all their most popular posts on a silver platter. The first two of their most popular posts are List Posts. >> You might also like: How To Check What Keywords Your Competitors Are Using? How To Write Your List Post? Once you know what topic you will write about, you need to actually write it. Note: If you still haven’t found a topic for your list post, go back to the previous section of the article and find one. If you follow these steps properly, you will have your first list post written in less than an hour. Even if you are an expert on the topic you are writing about, you need to make sure you include all the points other writers have talked about. Our goal isn’t to write just another list post article; it is to write the best damn list post on the internet. This won’t happen unless you make your list post longer than anything out there. Now, go through every list post or video you see and compile a list of all the items you find. At this point, don’t worry about finding the best point. Just write down all the items that you see. The purpose of writing a list article is to wow your audience and other bloggers in your industry. You need to make sure your list is longer than any other out there. If most of the other list posts on your topic have only 7 items, you need to write a post that has at least 14 items. If you haven’t followed the previous step of finding and compiling list items for your post, this step will be really hard. So, if you haven’t followed the previous step, go back right now and do it. It will save you a ton of time. You are trying to create a resource people can bookmark and come back to again and again. And of course, share with their friends and followers. This won’t happen unless you write THE BEST post on the topic. For example, check out this post where I have added 19 ways to reduce blog bounce rate. Unless you are an expert on the subject you are writing about, it will be really difficult for you to write the content. In that case, I recommend that you simply rewrite the list items you found on the Internet. I am not talking about copying other people’s content word for word. If you do that, you will be plagiarising someone else’s content. Google doesn’t like that. You have probably done it a hundred times in school before. Just read the tips in other articles and then write them in your own words. It’s not unethical. Everyone on the Internet does it in one way or another. Even the Pro and Expert bloggers do it. >> Want to Master the Art of Blogging? Join Master Blogging PRO! Don’t write your list post items in a bland way. The rewrite above sounds much more interesting than the previously bland statement. If you want your readers to read all your points and read your whole list, you need to make sure your list looks interesting. You can do it by turning your list items into benefits like the above example. The more list items you add to your post, the less likely it will be that people read the whole thing. So it is advisable to limit your post to only 25 items. More than that is too much. No one will read a list that long. A small list post with only 17 items looks interesting when you see it in your Facebook feed. But a list post with 53 items looks like something that will be difficult to read and will consume a lot of time. If you want people to read your posts, keep the number of items between 15 and 25. Most people don’t get any shares or backlinks from the list posts they write. That is because they simply post it on their site and wish that people will magically find and read their post. You have to actively promote your post if you want it to get any traffic. Here are some tips to make sure you get thousands of visitors from your hard work. If you want other bloggers in your industry to share your posts, you need to give them some value in return. The easiest way to do this is to mention their name in your article and link out to a related article they wrote. For example, if a blogger named Adam in your niche writes an article on “How To Invest Wisely In Roth IRA,” and your list post on making more money includes a post about Roth IRA, link out to Adam’s article. Now, once you publish your article, you can reach out to all influencers you mentioned and linked out to and ask them to share your post. And I would make my day if you share it with your audience. I am sure they will love it. Blogger outreach simply means reaching out to other bloggers in your industry and asking them for a share. This is the best way to guarantee that you get lots and lots of shares and backlinks for all your posts. I have talked about this in detail in a previous post on Blogger Outreach. Read that post and follow all the steps to get thousands of visitors to your list post. Writing a list post is the easiest way to create Skyscraper Content that gets thousands of shares and hundreds of backlinks. If you are just starting out in your niche, writing well-researched list posts is the best way to quickly become an authority in your niche. I recommend publishing at least 5 well-researched list posts on your blog if you are a new player in the niche. This is the quickest way I know to become a top player in your niche without years of effort. If you have any questions or feedback, leave a comment and let me know. Amazing post. I learned lots of new tips today to create an awesome list post. And I agree with you that we should mention the influencers of our industry in our article to get more social shares. Great post once again. Thank you for this. I like the way you give advice that is very practical and easy to implement. I have now learned latest things about list posting, and just inspired me to be serious about my writing dream, to be a successful blogger. You will never know how timely your article was for me and how it has changed my viewpoint on where I need to go with my website! I’ll be trying your tips this month for a new post that I have coming up. Thanks most for the information and carry on the great work! I have one question to you I have a Hindi blog. If I write a listicle the number will go at last, let me show you how? In situation second the listicle or number is behind? The number position is not going to make any sense here? So my question is how to write a good title for Hindi blogs for listicles? Indeed You did well by putting up this awesome article. Lists posts works very well wen writing. And for the fact of mentioning other bloggers name and linking out to them for shares is pretty cool. Am gonna give it a try soon. I don’t do many lists but this is a great idea!!! I might have to try to come up with an idea using BuzzSumo. Great post!!! By reading this post, got some great ideas to write better listicle article on the planet. Really helpful article you have written. I like the way you give advice that is very practical and easy to implement. I have now learned latest things about list posting, and just inspired me to be serious about my writing dream, to be a successful blogger. You will never know how timely your article was for me and how it has changed my viewpoint on where I need to go with my website! I’ll be trying your tips this month for a new post that I have coming up. Thanks most for the information and carry on the great work! I enjoyed this article as always. I’ve always considered the share part of a trendy post but I never thought about the backlinks it creates. It’s really informative just like your all other impressive guides. Yes, I totally agree with your thought of “not longer than 25 items” in a list post. Once I created a very detailed post with 50 items and it didn’t do well. Thanks for sharing the actual stuff!! Hey bro! Feel really connected and this seems to be my cup of team because after a year with not hands in Blogging, something like this list posts i would surely gonna try. I may take little time but hope to make one article atleast huge. There are a lot of take aways for me. We all know one thing that list post tend to bring a lot of traffic as there are a lot of queriesbmade in those. I think I need to modify a few of them from my blog to get the best results. And blogger outreach is another thing which I will concentrate more in this year. Thanks for the lovely one, have a great day. Keep up the good work, Ankit! It’s really a great idea to rank many keywords from one single list post. I am seriously lazy person, I can’t follow your 2nd step to make list longer. I usually write 700+ word but it’s hard to write 1k+ post because you know I am lazy. You compiled it and explain so easily that even a new blogger or newbie can get inspired from you. I am already one of them. Whenever I visit here always learned something new and fresh. Thanks Ankit bhai for this amazing blog post. This is completely new thing for me..
Those where really good hacks to get high visitors for your list post. These are definitely effective tips for improving the traffic for your post. Thanks for sharing. Wow what a nice post. I also try very hard to write a good quality content. These tips are really helpful for me. This is a masterpiece to write list contents. Got some wonderful ideas and the mistakes I am doing right now. May I know the plugin you use for Table of contents? I have been thinking about how to start my blogging journey. I see with this article I have a clear knowledge of what to do now. I am a starter and looking forward to owning a successful blog. Thanks for this helpful piece of information. Waiting for more with you. Great post once again. Thank you for this. I like the way you give advice that is very practical and easy to implement. I will try adding some listicles in the editorial calendar. I would also like to add the adding fun images make listicles more interesting for readers. Thanks for revealing your process for creating juicy, traffic-attracting list posts. I’ve always looked forward to discovering what goes on behind the scenes. I’m glad I stumbled upon this piece today. Another point I’d love to add is making sub-heads (or list items) less “plain.” That is, instead of having an item like, “Eat More Vegetables” you can say, “Develop Deep Affection For Tomatoes (and Their ‘Green’ Friends).” This way, you give your readers a reason to read through the entire section, instead of skimming through to the next sub-head (since the previous one was clear enough). This helps to increase dwell time and reduce bounce rate. And it’s always a win-win situation if you do it right. Great post you’ve put together here, Ankit. I’m hitting the share buttons right away! Am amazed to read this post. Feeling assured to follow this and get thousands to read my blog posts too. So far, I was working hard but now getting learn to know how to work smart. As they say, a man is known by the company he keeps. Thanks Ankit for your association on MBP platform and such valuable posts.